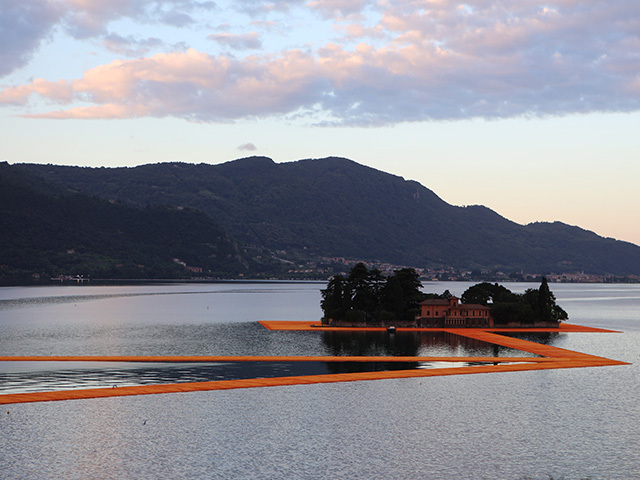 The highly anticipated public art installation ‘The Floating Piers’ by artist Christo, has finally opened on the waters of Lake Iseo in Italy, allowing visitors to experience walking on water. 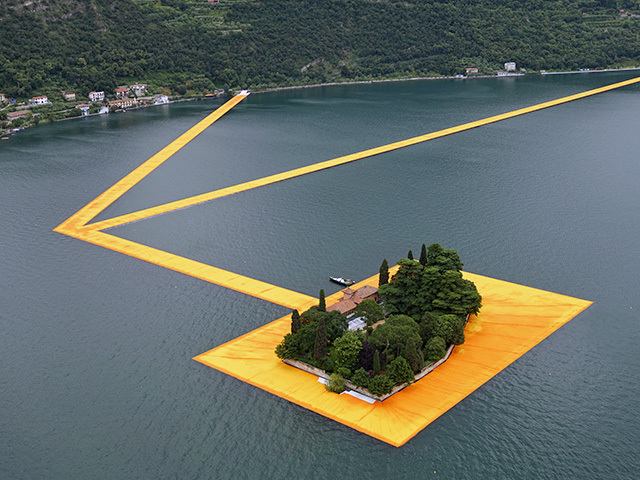 The highly anticipated reveal of Christo’s ‘Floating Piers’ sees 100,000sqm of shimmering yellow fabric wrap a floating dock that connects various points on Italy’s Lake Iseo. 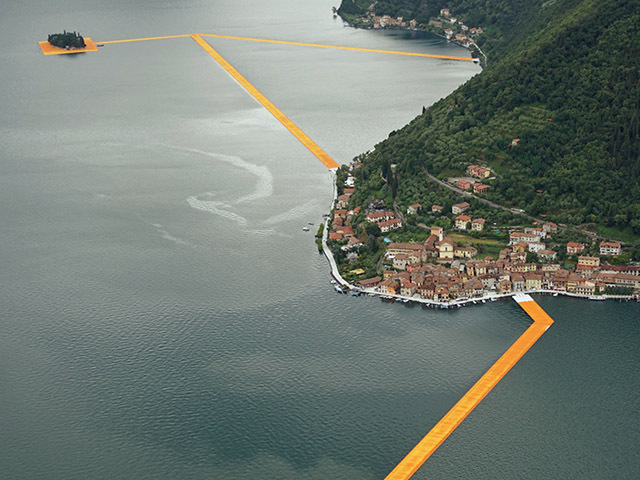 Undulating with the movement of the waves, visitors can now experience ‘The Floating Piers’ as they walk from Sulzano to Monte Isola and to the island of San Paolo, which it completely encircles. 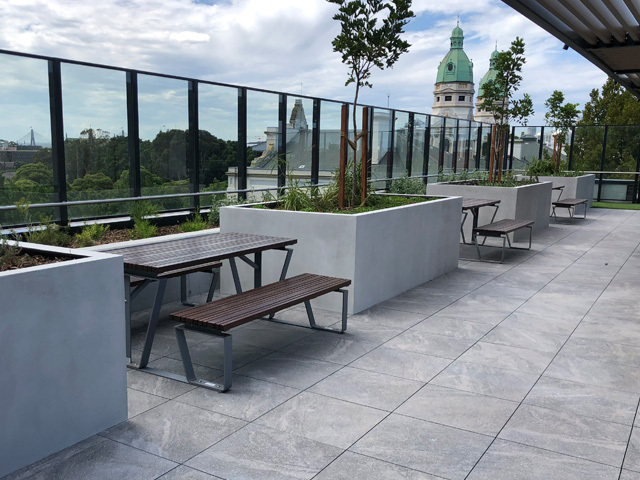 The 3 kilometer-long walkway extends clear across the water, with surrounding mountains offering a bird’s-eye view of a golden network of passageways that lead in and around the town. 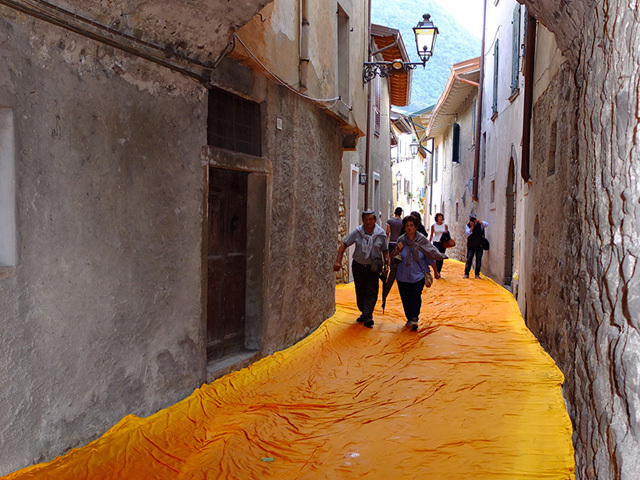 The fabric continues along 1.5 kilometers of pedestrian streets in Sulzano and Peschiera Maraglio. 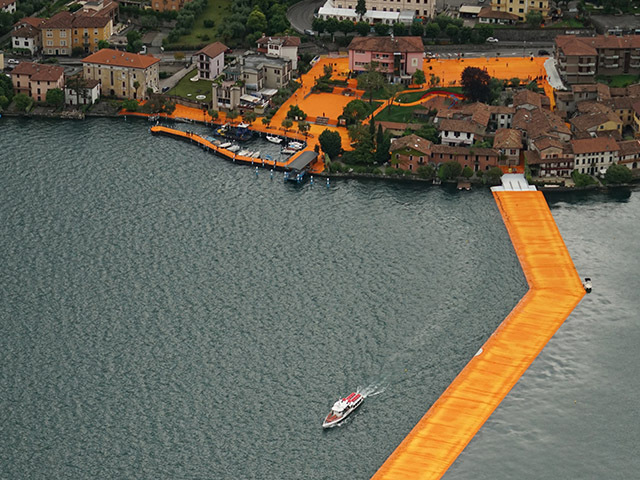 The concept for ‘The Floating Piers’ was conceived by Christo and Jeanne-Claude — the artist’s creative and life partner — in 1970. 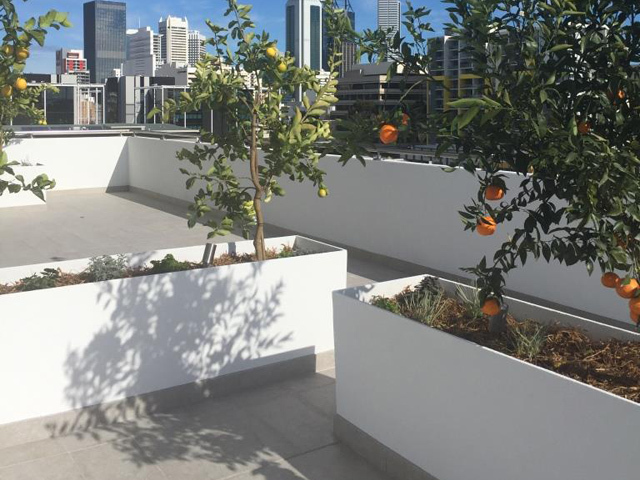 However, the couple originally did not know which river or lake would best suit the project. Early, unrealised renditions proposed a 2000 meter-long inflated pier on the delta of the Rio de la Plata in Argentina. By 1995, the idea was still active in the artists’ minds. They suggested the creation of two floating piers, 150 meters-long and covered in fabric, which would connect two artificial islands in Tokyo bay and continue through Odaiba Park. 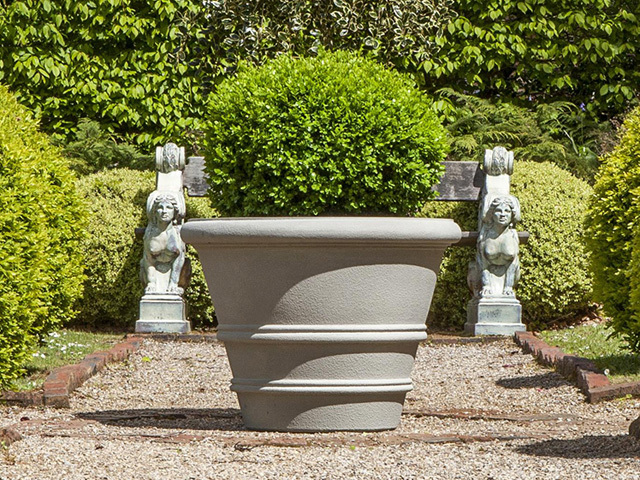 This iteration was also unrealised following the denial of a permit. Jeanne-Claude passed away in November 2009, but Christo continues the couple’s monumental practice. 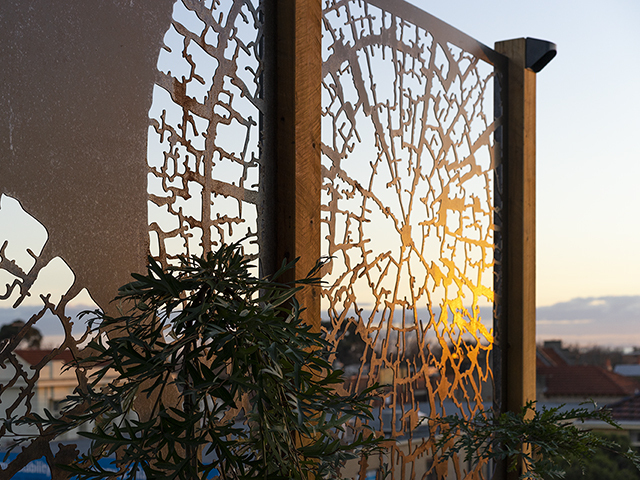 In 2014, the artist and his team scouted the lakes of northern Italy and found Lake Iseo to be the most inspiring location for the project. 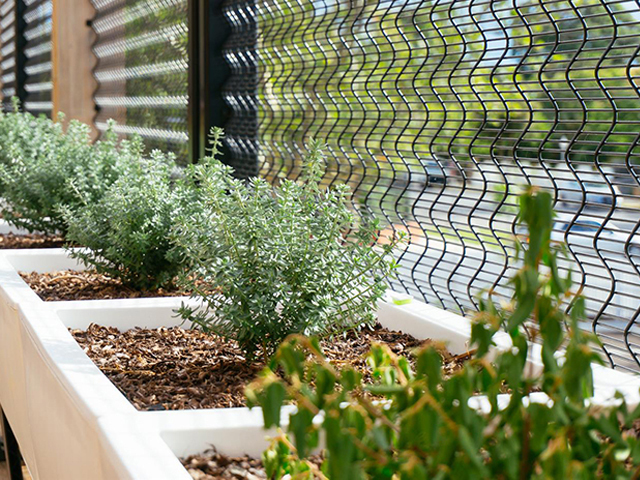 The exhibition is presented for just 16 days, following which, all components will be removed and industrially recycled.